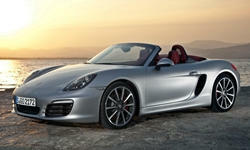 The Porsche Boxster S is arguably one of the best sports cars on the market. All the great car magazines agree. You can pick up a used one for a signficant discount from the original purchase price, and most have been absolutely pampered by their owners. But really, if you buy one, it's a shame to just let it sit in the garage. Yes, it's beautiful, but the thrill is behind the wheel. The flat six purrs and growls from behind the driver's seat like a true sports car should. The mid-engine layout allows for supreme balance such that the car handles magnificently. The brakes are near perfect. Hard to find anything bad to say about it, except I have to take my golf clubs out of the bag to fit them in the trunk. The 981 Boxster (2012-2016) is a significant improvement in body styling over it's predecessors. Inherits similar interior and exterior styling from the 911, but at a fraction of the price. This is a true German sports car. 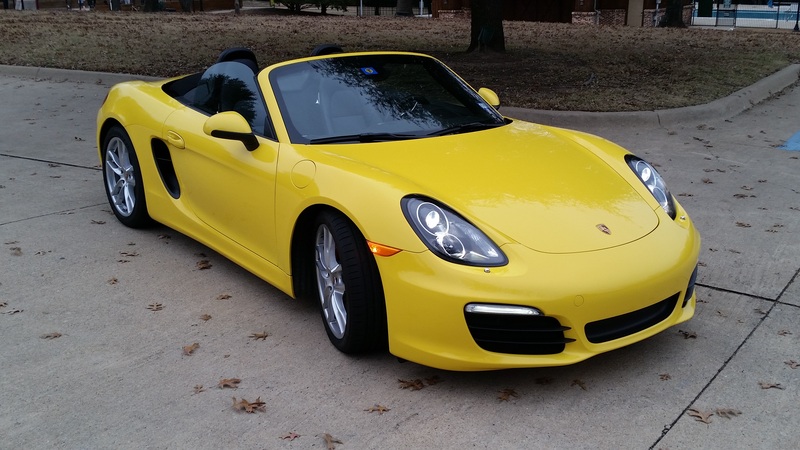 I highly recommend the Boxster S over the base model. 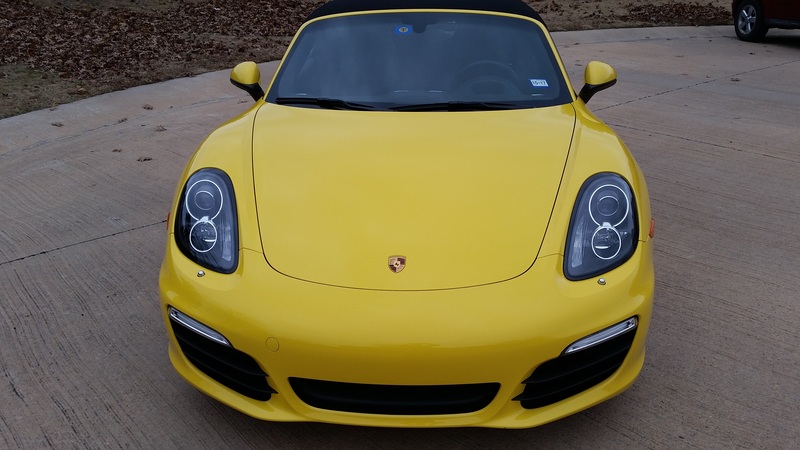 The base model has to be driven hard to get decent performance, but the Boxster S is willing and ready to accelerate dramatically from any throttle position. The fuel economy is really good given the power - real life fuel economy of 22 city and 30 highway with the PDK transmission. Speaking of the PDK, it shifts as smooth as butter. I was really looking at a manual, but once I drove it, the PDK won me over. Handling - just wow! The electronic steering is precise and just balances perfectly. 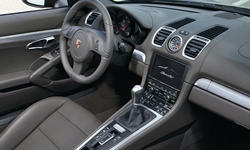 I have the optional PASM (Porsche Active Suspension Management) and PTV (Porsche Torque Vectoring). I generally leave the PASM in normal mode. It softens the ride just enough, but still allows you to feel in absolute contol. I also have the Sport Chrono package with Sport Plus - honestly, probably the least used feature. Too agressive for daily driving. Maybe I'll try it out at the track during the next Porsche Club of America HPDE (High Performance Driver's Education) session. I've got the stock Goodyear Eagle F1 tires. The braking performance is outstanding. Again, just perfectly balanced. Interior design is very good. It has a sports car feel - this isn't a Cadillac. I've got the optional Bose stereo system, and I recommend it. It's about on par with most manufacturer upgrade audio systems. But really, the engine sitting behind you provides the true music. I've got the sport design steering wheel and adaptive sport seats. Only complaint about the interior is I wish the seats had side bolster adjustments. 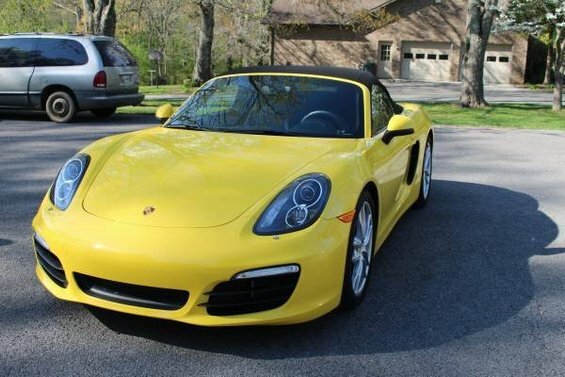 If you're in the market for a new sub-$50K sports car, take a look at a gently used Porsche Boxster. The depreciate dramatically the first couple of years, so they can be had at a relative bargain for a practically new car.